Exclusive research from PropertyFinder and the Education Intelligence Group detailing the changing demographics of Dubai and how that is affecting both the education and housing markets. 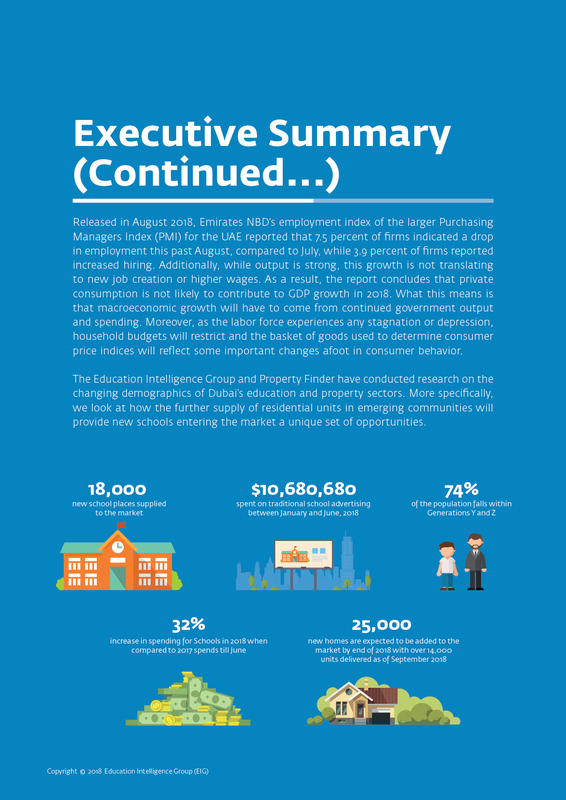 The education and real estate sectors are two of the most emotive topics for residents of Dubai. 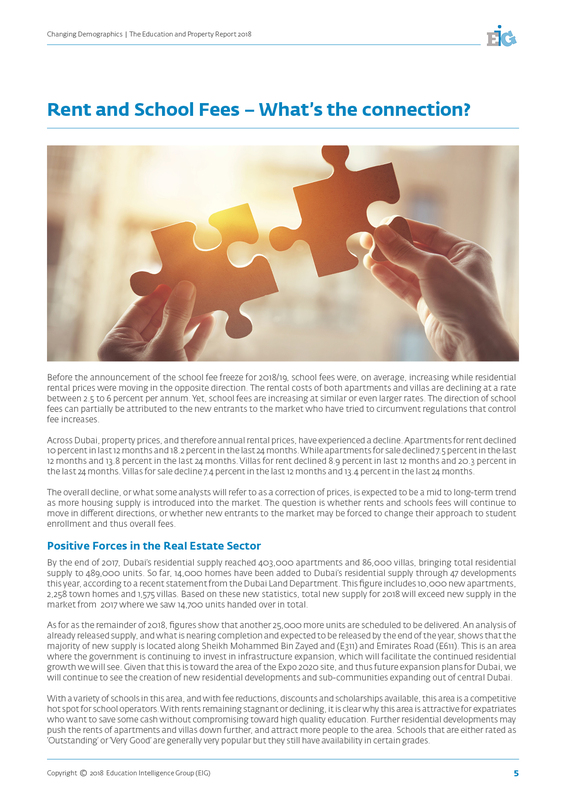 Historically, tenants had limited choice and were often forced to rent properties with unfavourable rental conditions, such as paying in one lump sum for the year. However, times have changed, since 2017 or so, residents have been incentivized with flexible payment plans, maintenance packages, free months rent, and multiple cheque options, as additional housing supply and lower property prices have lent residents a good amount of bargaining power. With a similar past, parents in Dubai struggled to find school places before 2015, and were often forced to settle for their second or third options. Just a few years later, parents now have choice and bargaining power in their corner, as new schools have offered a raft of incentives ranging from free transport, free uniforms, and attractive discounts. 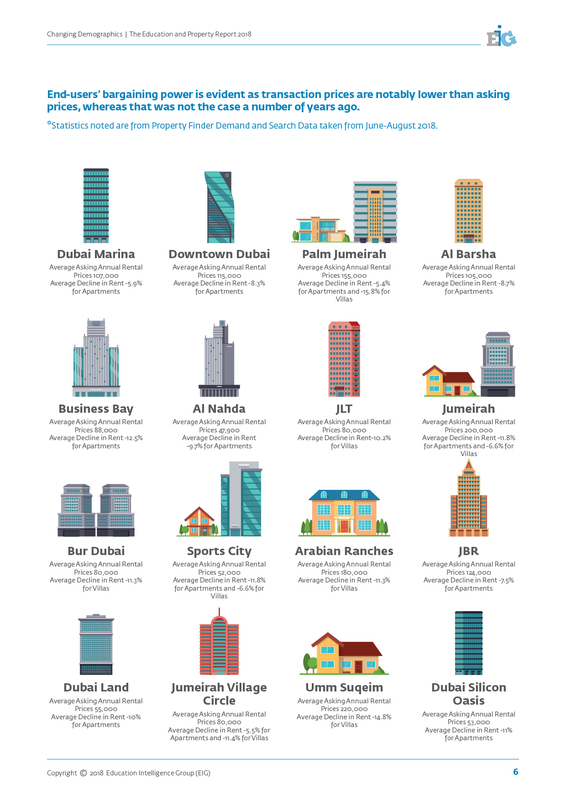 It is now clear that Dubai families are more empowered to make choices that are in their interest rather than being stuck with options that are less than desirable. 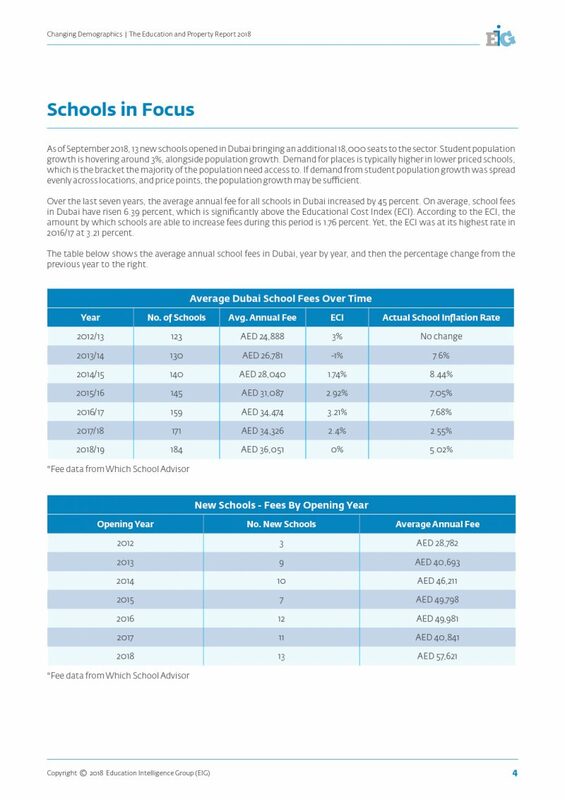 Given the high expatriate population in Dubai, private education supply and prices are closely linked to the property market. This report will address some important dynamics in both areas and also highlight the opportunities that private education has to grow and more importantly, where. The Dubai property market, like any other successful global market, will have its booms and busts. 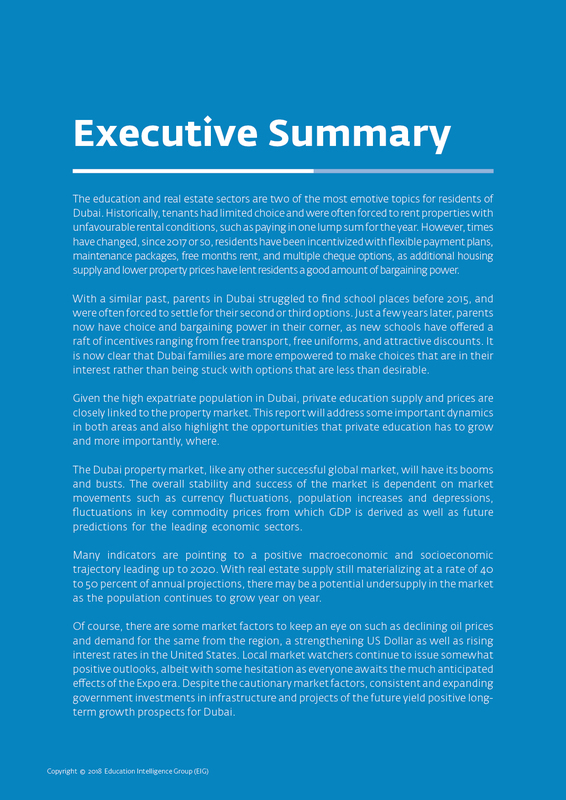 The overall stability and success of the market is dependent on market movements such as currency fluctuations, population increases and depressions, fluctuations in key commodity prices from which GDP is derived as well as future predictions for the leading economic sectors. 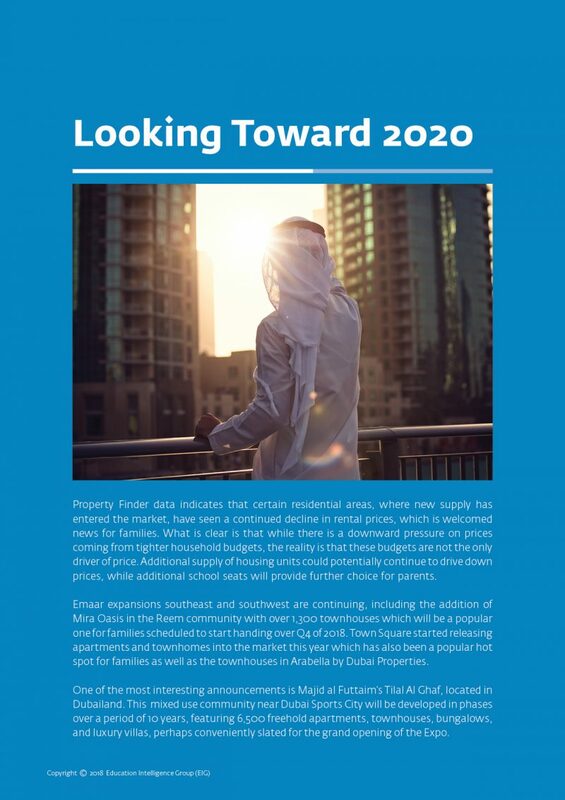 Many indicators are pointing to a positive macroeconomic and socioeconomic trajectory leading up to 2020. 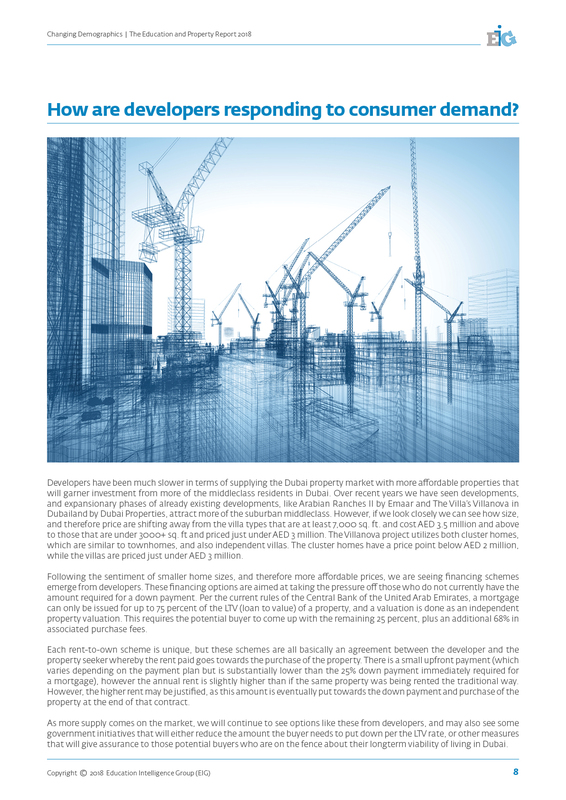 With real estate supply still materializing at a rate of 40 to 50 percent of annual projections, there may be a potential undersupply in the market as the population continues to grow year on year. Of course, there are some market factors to keep an eye on such as declining oil prices and demand for the same from the region, a strengthening US Dollar as well as rising interest rates in the United States. Local market watchers continue to issue somewhat positive outlooks, albeit with some hesitation as everyone awaits the much anticipated effects of the Expo era. 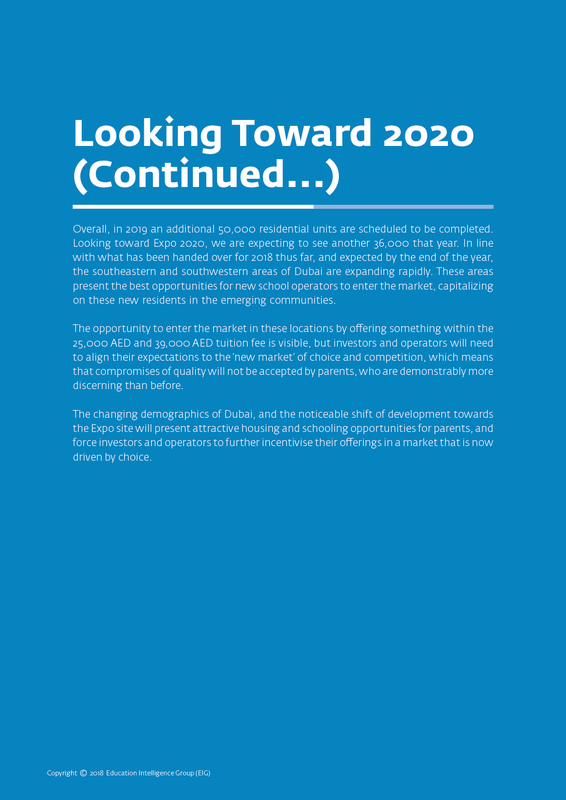 Despite the cautionary market factors, consistent and expanding government investments in infrastructure and projects of the future yield positive long-term growth prospects for Dubai. Released in August 2018, Emirates NBD’s employment index of the larger Purchasing Managers Index (PMI) for the UAE reported that 7.5 percent of firms indicated a drop in employment this past August, compared to July, while 3.9 percent of firms reported increased hiring. Additionally, while output is strong, this growth is not translating to new job creation or higher wages. As a result, the report concludes that private consumption is not likely to contribute to GDP growth in 2018. What this means is that macroeconomic growth will have to come from continued government output and spending. Moreover, as the labor force experiences any stagnation or depression, household budgets will restrict and the basket of goods used to determine consumer price indices will reflect some important changes afoot in consumer behavior. 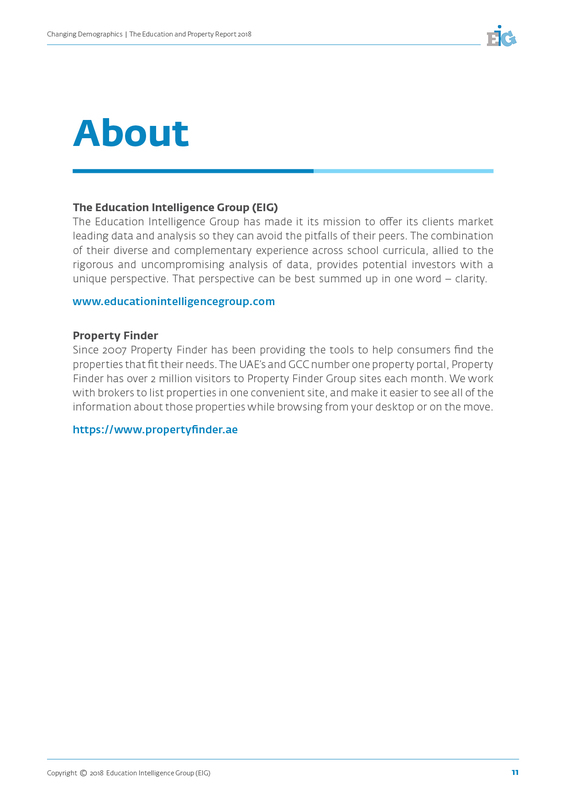 The Education Intelligence Group and Property Finder have conducted research on the changing demographics of Dubai’s education and property sectors. 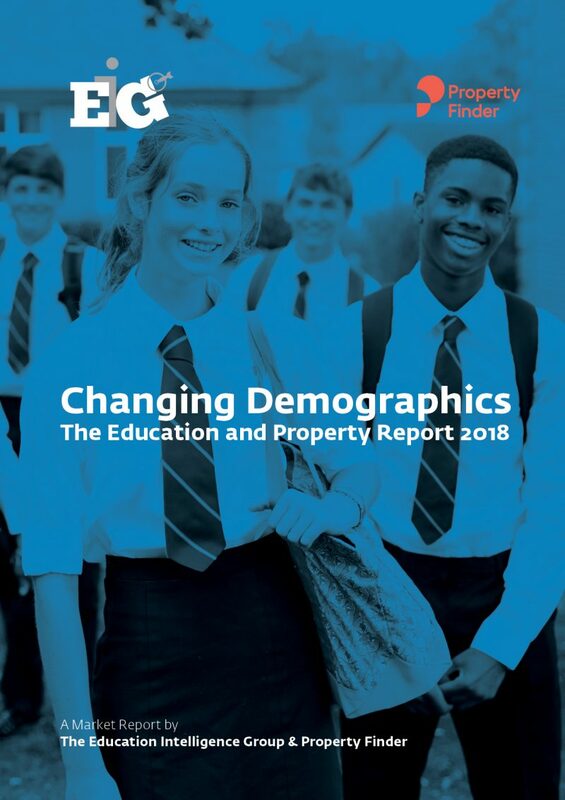 More specifically, we look at how the further supply of residential units in emerging communities will provide new schools entering the market a unique set of opportunities.